2017 saw the first phase of development complete at Riverside Enterprise Park and Stirlin Business Park. Both sites have been a huge success with 93% of the units now being occupied by a variety of local businesses. This has led to further investment at each site with the second phase at Riverside Enterprise Park now complete and the second phase at Stirlin Business Park currently under construction. 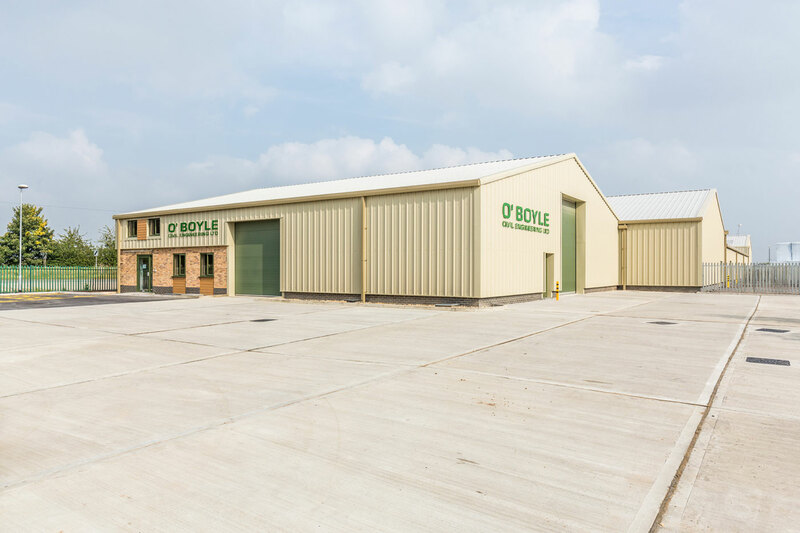 We are continuing to see a demand from businesses who want contemporary premises in well-connected locations around the city and 2017 saw three further additions to our growing portfolio of commercial sites; Enterprise West Lindsey at Saxilby, Kirk’s Yard at Branston and Leafbridge at North Hykeham. Enterprise West Lindsey is a new 20-acre commercial site, located opposite Riverside Enterprise Park and the popular Saxilby Enterprise Park. The proposed scheme will offer freehold design and build requirements and a range of freehold and leasehold buildings, including light industrial, hybrid and office units. A planning application is due to be submitted in early 2018. 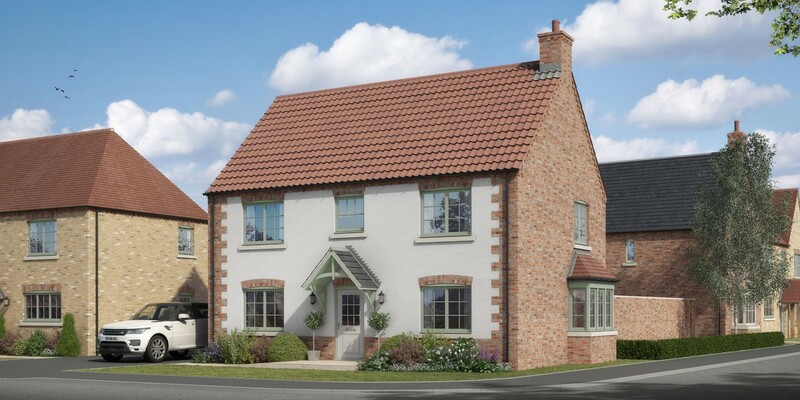 Kirk’s Yard is situated on the edge of Branston village and we’re confident the 1.2-acre commercial site will prove to be very popular due to the excellent transport links the site has, especially with its proximity to the Lincoln Eastern Bypass. The first phase of development, a range of light industrial units, will commence in Q1 2018. Our 10th Anniversary marked a significant milestone for Stirlin and the date coincided with planning permission being granted for our largest scheme to date; Leafbridge. The development, which will see the creation of over 300,000 sqft of employment space as well as access roads, car parking and public open space, has already proven to be very popular with enquiries from both local firms who need to relocate due to expansion and from national operators who want a presence in Lincoln. The first phase of development is currently at the design stage, with a planning application being prepared for submission in Q1 2018. Another significant milestone in 2017 was the launch of Homes by Stirlin, our dedicated residential development division. Homes by Stirlin was established to offer superior quality, crafted homes within highly desirable locations, and our first site, Lodge Lane, is already proving to be a success. Situated on the edge of the historic village of Nettleham, Lodge Lane is a true embodiment of Homes by Stirlin’s ethos – putting exceptional quality, created by Lincolnshire people, at the heart of every home. Since the developments launch in June our Homes by Stirlin team have received ‘off-plan’ reservations for 70% of released plots. This amounts to 53% of total plots available on the site being under offer or pre-sold. 2018 will see the completion of the first phases of on market properties, along with ten affordable homes delivered in a partnership with housing provider Ongo. Our construction team saw an increase in demand for residential extensions and renovations during 2017. In March we completed The Man Cave, a bespoke garden room building designed for entertaining guests, and in October we began construction on Carlton Lake Drive, a contemporary two-storey extension, featuring sliding glass doors and first floor terrace overlooking a lake. In June we were delighted to hear The Woodwards, one of our standout projects of 2016, was awarded ‘Highly Commended’ at the East Midlands LABC Building Excellence Awards. The completion of The Man Cave has been a highlight for both our team and our client this year. The project allowed our construction team and various divisions (Stirlin Design, Stirlin Plumbing & Heating, Stirlin Electrical and Stirlin Joinery) to showcase the benefits of an integrated approach to design and construction. 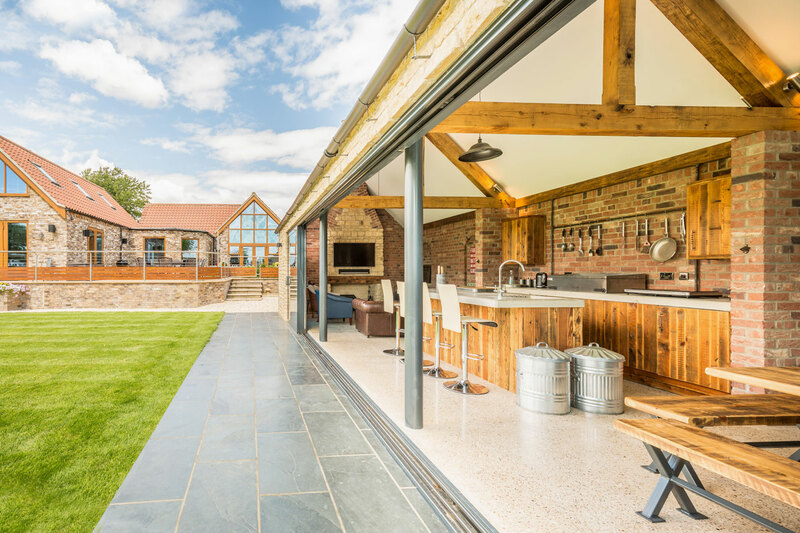 The result was the perfect space for indoor and outdoor entertaining, featuring large sliding doors, a bespoke kitchen and matching polished concrete floors and worktop. Our growing reputation for one-off, bespoke projects has led to a number of exciting opportunities during 2017. Carlton Lake Drive was a direct result of our work on The Woodwards and represents our largest domestic extension to date. The project is currently on site and is due to complete in Spring 2018. Looking forward, we are preparing ourselves for an equally busy 2018, which will see further investment in our growing team of talented staff and the services we offer. The start of the year will see construction begin on two new units, adjacent our HQ at Stirlin Point. The first, a 900 sqft office building, will provide additional office and meeting accommodation for our management team and the second, a 2500 sqft warehouse, will be occupied by Stirlin Plant Hire & Sales. Both units are due to complete in late Spring 2018. 2018 will see further additions to the Stirlin Team, with an administrative assistant joining in January, and we are actively seeking further staff for our development, construction and design divisions. If you feel you could make a positive contribution to our company please get in touch with us. Stirlin would like to thank our partners, clients, consultants, friends and colleagues and wish everyone a Happy New Year.